On Monday 12th October, we were delighted to host our official 2015-16 Launch at our new hub school, Westminster Academy. 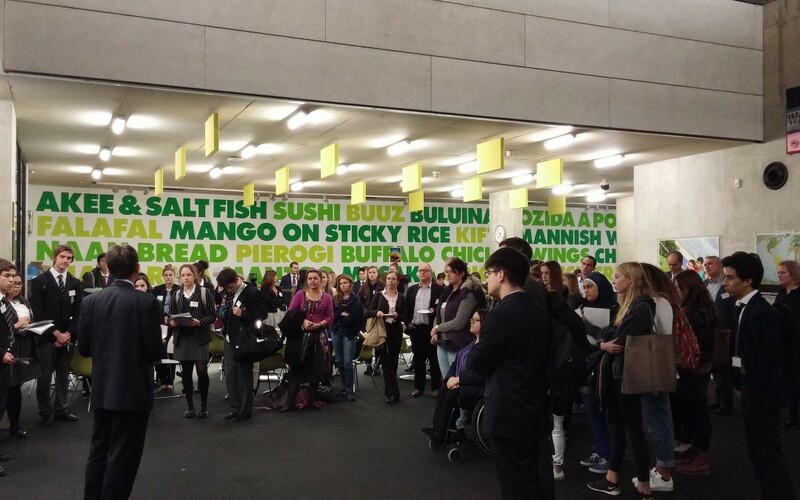 The Launch event was attended by language students and teachers from the hub school and a range of other schools in the Tri-borough, as well as by representatives from several universities and language organisations working in London. Sixth formers had the opportunity to attend taster sessions led by Oxford undergraduates and Open University tutors, introducing them to university study as they learnt about a range of cultural topics in six different languages. This was followed by a truly absorbing keynote lecture by Dr Elisabeth Kendall, Senior Research Fellow in Arabic at Pembroke College. The lecture focused on her fascinating research into the relationship between Arabic poetry and the current conflicts in much of the Arabic-speaking world, in particular in Yemen, thereby demonstrating the vital importance of linguistic and cultural understanding in today’s world. Attendees also heard from Dr Klaus-Dieter Rossade from The Open University and Dr Tim Farrant from Pembroke College, who each spoke of the importance – and the joys – of language-learning at school, at university, and in the wider world. Finally, students and staff had the opportunity to interact with the visiting academics and university students at a networking reception. The LCLC is delighted to be able to continue its work at its new base, Westminster Academy, thanks to the generous support of the Dangoor Family through the Exilarch’s Foundation. A Future for Languages in Schools?